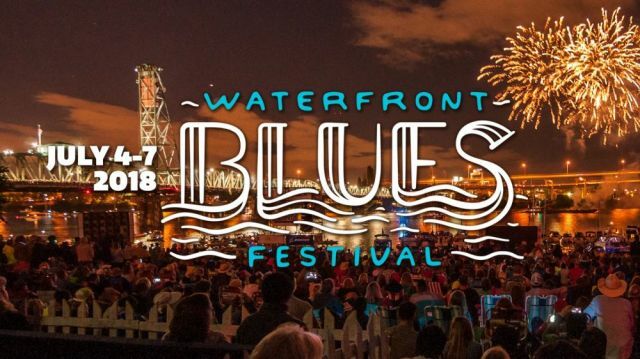 Waterfront Blues Festival 2018: Your best guide to the music from the guy who booked it! Peter Dammann, Waterfront Blues Festival Artistic Director talks about all of the music. Last year we started what has become a sensational tradition of having the folks who book major festivals come in and tell us about the people they booked. Did it with Don Lucoff and the Portland Jazz Festival, We did one last time with Nicolas Harris of the Soul’d Out Festival and in a couple of weeks, Ryan Meagher will tell us about the music he booked for the Montavilla Jazz Festival. For the second year in a row, Peter Dammann, Artistic Director of the Waterfront Blues Festival came to World Cup Coffee and Tea to tell us all about the 2018 festival starting on Wednesday, the Fourth of July and ending Saturday, July 7. There are some big internal changes this year, and of course, lots of great music. OMN will be in our booth in the Louisiana Pavilion, of course.